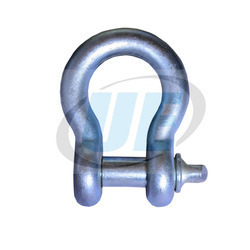 Providing you the best range of alloy steel d shackles screw pin type, alloy steel dee shackles, alloy steel d shackles nut bolt type, d-shackle, d link shackle and ss d shackle with effective & timely delivery. With the assistance of our deft team of professionals, we are able to introduce a broad array of Alloy Steel D Shackles Screw Pin Type. Clients can prefer to find custom designs as per the business needs. 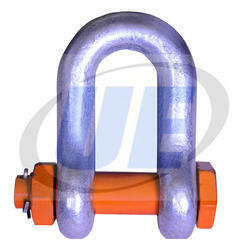 We are offering Alloy Steel Dee Shackles. 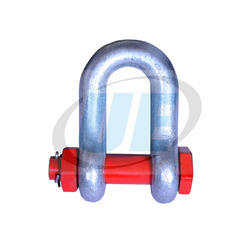 With the assistance of our deft team of professionals, we are able to introduce a broad array of Alloy Steel D Shackles Nut Bolt Type.Besides, clients can also get the shackles made obtainable to them at industry leading prices. Size 1 TON TO 55 TON CAP. 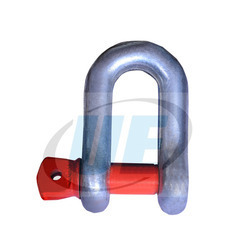 We supply D - Shackle Stock which is made of two connecting pins press fitted and riveted in one plate. 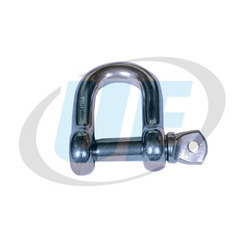 We are offering D-Link Shackle. Our stainless dee shackles are designed for fixing and attaching various applications and are ideal for use in salt water conditions or where there are high levels of moisture and humidity. They are also ideal for applications that require a high aesthetic appearance. 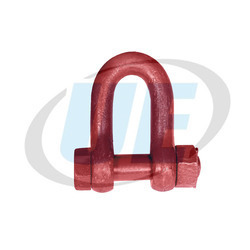 Dee shackle design is ideal for attaching single leg applications. Designed for easy Frequent Application. Enhanced safety with Bolt, Nut & Cotter split Pin. Reduce the need to tighten pin before each application. 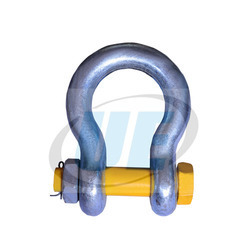 For use on direct lifting or single load systems. We are offering d-shackle nut bolt type.